Our founder, Austin Taylor, got his start working in the film industry and has worked on all types of projects, all over the country. Some of the production styles he’s worked on include feature films, documentaries, scripted television, unscripted television, commercial films for broadcast and for web, internal corporate films, and now, Atlanta Wedding Videography. And Atlanta GA, New York City, Pittsburgh PA, Dallas TX, and Tampa FL are just a few of the places he’s worked. Here are some words from him. As Atlanta Wedding Videographers, we tell stories; and to write your perfect wedding story, we implore each couple to meet with us one on one. We don’t want to go into your wedding day cold, and honestly, you don’t want us to either. This meeting will give us a glimpse into your relationship to help us to better capture the essence of your relationship in your personalized story. We will also have an opportunity to answer any questions you may have and even ask us about any recommendations for other wedding vendor needs. 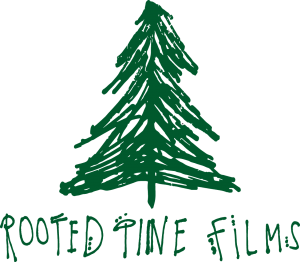 Rooted Pine Films is connected throughout Atlanta, so we love to share clients with our friends. We are locally based, Atlanta wedding videographers, filming weddings around the entire Southeast. Including everywhere from Atlanta, to Athens, to Charleston, Charlotte and Asheville. We love to travel and are available for destination weddings! Originally founded as the settlement of Terminus (marking the end of the Western & Atlantic Railroad) in 1837, Atlanta has grown into a kind of final destination for all things creative, familial, and community-driven. Since hosting the 1996 Olympics and most notably in the last three years, the revitalization of Atlanta’s neighborhoods has driven artists, families, professionals, and urbanites from the drab, traffic-invested suburbs to the heart of an evolving city. The on-going Beltline project is in full force as the city is converting 22-miles of abandoned, unused railway (formally the Beltway) circling its perimeter into a walkable, bike-able, and ride-able interconnected path. This initiative has driven economic growth, cultural diversity, and creative ventures from local breweries to production companies and a nationally-recognized food scene. In 2016 Georgia was named the number three location in the world for film production, second only to New York and California. From films like the The Hunger Games or The Fast and the Furious to hit shows like The Walking Dead, Atlanta is accelerating creative possibilities for the industry worldwide. The city’s attractive tax incentives, busy airport, and preferable climate have driven nearly 3,000 motion picture and television industry businesses to call Atlanta home. Atlanta is also the home of a thriving wedding industry. Whether you fancy the luxury of an Midtown venue like the Biltmore Hotel or the rustic, southern comfort of the Foxhall Resort & Sporting Club, Atlanta has it all. With an estimated 37,000 weddings per year, Georgia is overflowing with venues, venders, and endless possibilities for your big day. Rooted Pine is fortunate to be a one of the core contributors to the wedding space in our wonderful city, and we would be honored to partner with you and your wedding vision here in Atlanta. What Do Wedding Videography Services Look Like the Day of the Wedding? One of the most common questions we get here at Rooted Pines is “how will the videographer integrate into our wedding day?” It’s a great question! The last thing a couple wants on their wedding day is a videographer hovering too close during special moments, or not being around during special times and missing key shots. Our team at Rooted Pines fully understands this. We’re two guys who have married the women of our dreams, and on our wedding day the only thing we wanted people to see was our beautiful brides. That’s why as videographers we make it a key point be a fly on the wall during weddings…a fly that captures every beautiful moment without ever getting in the way. While most people only focus on the bride walking down the aisle, we make sure to also capture the look on the groom’s face when he first sees his bride walk into the room. The first dance between the bride and groom is typically the only dance most videographers capture, but what about the first dance between the bride and her father? Or the groom and his sweet grandmother? Before the Ceremony: Our services on the day of your wedding are catered exactly to what you need. No matter if you need us to arrive first thing in the morning or stay late into the night, it’s our pleasure to be able to share the day with you. Typically, we arrive and begin shooting as soon as the bride and groom begin getting ready and are sharing special moments with their wedding parties before the ceremonies. This is a great time to film intimate moments of both the bride and groom before they join as one. 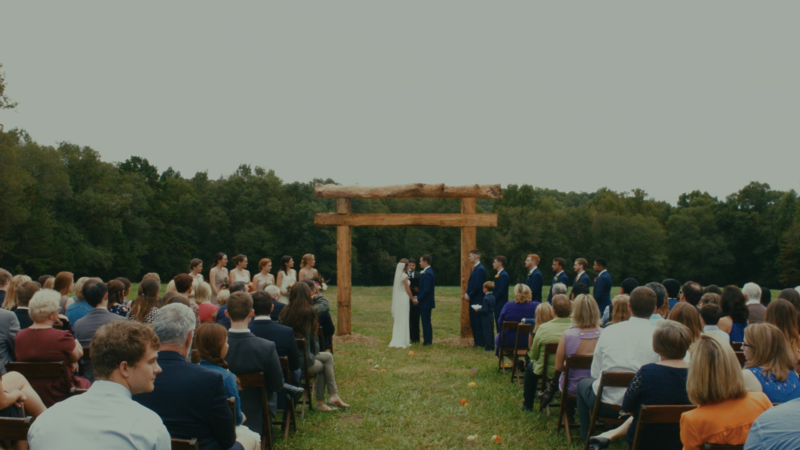 The Ceremony: Both packages we offer include a full, uncut film of you ceremony in its entirety. We can always include some special moments from the ceremony in your overall wedding video, but we think it is so important for the couple to have a full video of the ceremony that made them husband and wife. After the Ceremony: After the ceremony, our services become more individualized for what each unique couple desires. Typically, we follow the couple to where they take their official wedding photos, and capture their first moments together as a married couple. Then we head to the location of their reception, and fully film all the toasts, cake cutting, garter tosses, and first dances to provide you with a way to relive these moments forever. Along with the full footage of all the reception moments, we take some of the most special pieces and incorporate them into a shorter wedding video to make them easier to share with friends and family. For more information about our Atlanta Wedding Videography packages and add-ons, check out our full investment details here! So why do you need an Atlanta Wedding Videographer? Truthfully, a wedding videographer is not on the list of “Top 5 things to Do for your Wedding”. We understand that. But we also understand that your wedding day flies by in the blink of an eye, and in the adrenaline of handling all of the events of the day, it’s easy to miss important moments or forget to take the time to truly cherish them. That’s why it’s so important to capture them with quality videography. After the busyness ends and the adrenaline wears off, you’ll be grateful to have a beautiful video that captures every intricate detail of the best day of your life. Weddings are an absolutely beautiful celebration of a love so powerful it brings generations and lineages together. It is our favorite thing to be able to capture the moments that make each wedding so uniquely special, recreating a beautiful love story for couples and their families and friends to watch and relive over and over again for years to come. We work closely with each couple to ensure that we capture the exact moments that are most special to them. If you have any questions of how our services integrate into your wedding day, don’t hesitate to contact us! It would be our honor to join you on one of the most special days of your life! Tell Us About You and Your Wedding!